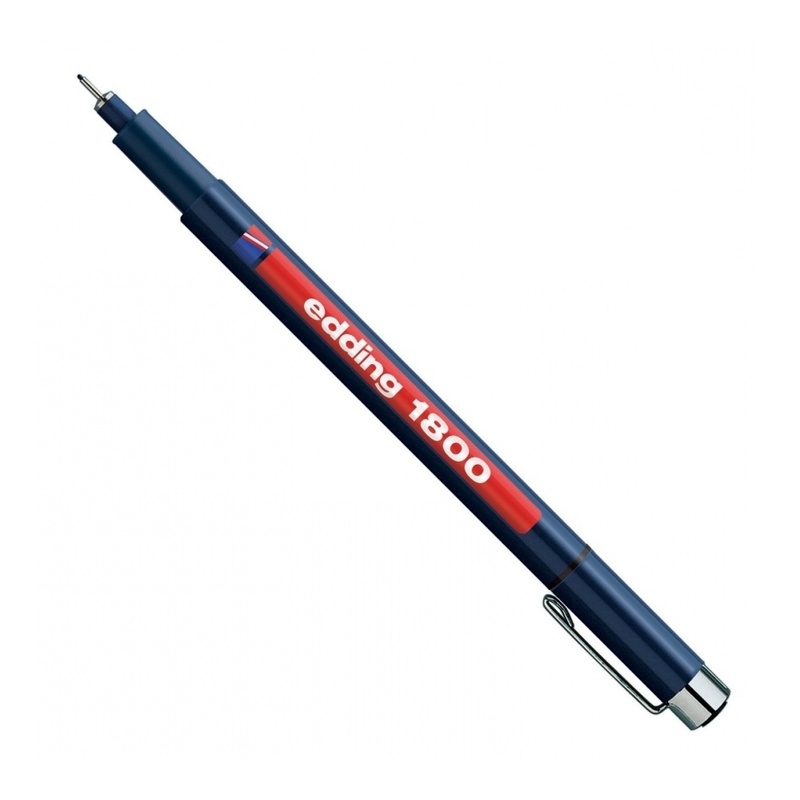 High-tech fibre pen with metal-framed round tip in 4 stroke widths. Water-resistant and light fast pigment ink. Showing 2 Edding 1800 Profipen Fineliner reviews. Average rating of Excellent. Would you like to write a review? An excellent pen which I purchased for line and wash. Once dried, it did not run when I added watercolour over the top. The nib is thin enough for adding fine detail to the painting. An excellent pen, good quality. It did not run when adding watercolour. Nor does the ink blob when drawing, unlike some pens. I was able to easily add fine detail and shading to my work. Will buy again.